We did get quite a bit into definitions in the last post in an effort to discuss intelligently what we are calling the Parable of the Unclean Spirit. The whole idea of demons and devils and Satan is a very difficult issue to both evaluate and to discuss as there is so much belief and certainty in these beings which no one can properly define nor cite real evidence of their actual existence save the occasional ‘possession’ of a human being by the power of a disembodied spirit which can be seen as the outer fringes of this phenomenon. There may have been a time when this was more prevalent but this time is gone, at least in our more civilized part of the world. The link between the Soul and its appearance in a conscious form is as much an evolutionary progression as is anything in physical evolution and we could even say that this evolution of consciousness, as both carnal awareness and Soul awareness, is in fact the true evolution while the evolution of form only serves to give the Soul the needed mechanism to live through. It is not our intent to discuss evolution here today but this brief statement may set the stage for this discussion as we progress through and develop our understanding of the Master’s words. The whole of the current understanding of the phenomenon cited in the parable is steeped in superstition, legend and myth and much of this from remnants of the Old Testament era teachings; not necessarily biblical teachings but the interpretations of these in the Jewish culture. Much of this was adopted and then adapted to the new Christian Faith and these ideas plus the notion of hell an eternal damnation flourished in the Middle Ages. The modern church, without much questioning, continues to adopt these same ideas without any foundation and with little real understanding of the True nature of the demons and devils that Jesus and the disciples dealt with in their time. Nowhere is scripture is any of this actually explained and so we are left with words that we do not understand interpreted by superstitions and legends and myths and one’s belief in this combination is erroneously called Faith. Can any of us say that after reading the definitions and descriptions of the words from yesterday that we really understand what is meant by Satan? especially when the Master calls Peter by this name. Or can we say we understand the idea of any of the words we listed when they are used interchangeably for angels of God, men, devils and demons and the powers of such? “For I am persuaded, that neither death, nor life, nor angels, nor principalities, nor powers, nor things present, nor things to come, Nor height, nor depth, nor any other creature, shall be able to separate us from the love of God, which is in Christ Jesus our Lord” (Romans 8:38-39). This is an important saying on many levels but in this which we talk about we can see principalities and powers are spoken of in the same breath with life and death and angels. “Which he wrought in Christ, when he raised him from the dead, and set him at his own right hand in the heavenly places, Far above all principality, and power, and might, and dominion, and every name that is named, not only in this world, but also in that which is to come” (Ephesians 1:20-21). Vincent says of this that these words usually refer to angelic powers; either good (he cites references) or bad (more references) or both (cites the verse above). Here probably good since the passage relates to Christ’s exaltation to glory rather than to His victory over evil powers4. There appears error here on Vincent’s part as the verse does say all which would make it all inclusive of the good and the bad and the in between. The message we should get here is that this is rather unclear except that all this us under the Christ. “For by him were all things created, that are in heaven, and that are in earth, visible and invisible, whether they be thrones, or dominions, or principalities, or powers: all things were created by him, and for him: And he is before all things, and by him all things consist” (Colossians 1:16-17). Here we have affirmation by Paul of the allness of things that are created by God through Christ and for God as Christ. 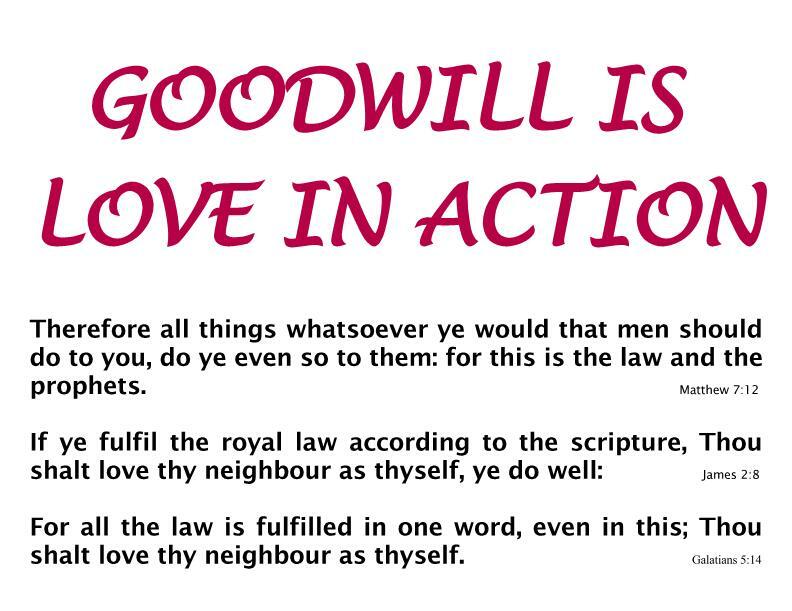 There is no separation of good from bad and we should recognize that these words are only effective in carnal living. We can see here also that principalities and powers are included with the all of things, the all of the energies and the potencies of God. These potencies permeate the entire creation, all things created, that are in heaven, and that are in earth, both visible and invisible, and are the principalities and powers that move all things, motivate all things; there is nothing outside of this ALL for this ALL is created by him and created for him. This is the Spirit of the One God and it is only in man’s manipulation of the manifested potencies of God here in this creation that there is actual evil on this Earth. It is said that the opposite of Love is fear and if we could imagine these as the opposite poles of One Great Force with each spawning its own array of life energy on this physical plane with their accompanying emotional and mental responses of men, what is it that we would be seeing? For the man that is dwelling in the carnal states of being we would see the energy of the lower pole at sway afflicting men with its energies that revolve around the lower self-centered attitudes. Conversely, for the man dwelling int the Presence of God, in the spiritual states of being, we would see the energy of the Higher Pole affecting men with its energies that impel him to the Higher and more altruistic attitudes. This is not intended to be a clear depiction of the state of being of any one as words do not permit its proper explanation and we should always remember that there is a infinite array of possible combinations dependent on where one finds himself between these two poles; there is very little that is black and white in this Wondrous Creation of OUR GOD. For all of time there have been gods and devils depicted in the minds of men. Of the good things and powers that are apparent to man, he called them gods and gave them names and for the evil things and powers that are apparent to man, he calls them devils or demons or unclean spirits and those who dwell in their clutches and use them give them names. We can wander here for a bit and give some names to gods and devils and this may help us to understand better our verses and what are exactly those things that are considered unclean spirits and that personality of sorts to which we ascribe the name of Satan. As we approach this we must remember that there are no hard and fast lines of demarcation but, as in the example above of Love and its opposite as fear, there is a multiplicity of values between them as gods and devils. Looking at this physically we can see 100% Love and the perfected man versus 100% fear and full evil; between these is any combination of each such as 20/80 or its opposite 80/20. This is our task and our goal: to take ourselves at any point in time and move up the scale to that point of the perfected man who can be as the Master tells us saying “Be ye therefore perfect, even as your Father which is in heaven is perfect” (Matthew 5:48). It is in the point of focus and the intensity of our focus on the things of God that we move along this scale to perfection and the more we focus the more ability to focus we receive. Paul says this same thing this way: “I press toward the mark for the prize of the high calling of God in Christ Jesus. Let us therefore, as many as be perfect, be thus minded: and if in any thing ye be otherwise minded, God shall reveal even this unto you” (Philippians 3;14-15). This is ever the objective and here we must stand, fully armed with the “whole armour of God…against the wiles of the devil”. Now if we see this devil as the principality and power is the forces and energies that play upon us here on Earth, we can see clearer that we have the ability to change, to be transformed. To be conformed to the ways to the world is to let the lower carnal effect of these energies play in our bodies, our emotions and our minds giving rise to the worldly powers we have called the gates of hell: anger, lust and greed. This too is the message of Paul when he tells us “and be not conformed to this world: but be ye transformed by the renewing of your mind, that ye may prove what is that good, and acceptable, and perfect, will of God” (Romans 12:2). “Against the wiles of the devil” is then against the ways of this world and against the carnal effect of the the lower pole of the great energy of Love. What exactly are wiles? The lexicon tells us that the Greek word methodeia which is translated as wiles means cunning arts, deceit, craft, trickery2 and Strong’s says of this scheming, craftiness and strategy with a literal meaning of lie in wait3. This word appears but twice in the New Testament and in its other appearance it is translated lie in wait and it is spoken of men who deceive. So this is a confusing word because the idea of lie in wait does not work grammatically with the _____ of the devil. Vincent tells us, from its other appearance (Ephesians 4:14), that the whole Greek phrase there is literally tending to the system of error and notes that the Revised Version renders this as after the wiles of error. He goes on to say that methodeia means a deliberate planning or system4. Looking at the idea of wiles in Webster’s we find that it means: A trick or stratagem practiced for insnaring or deception; a sly, insidious; artifice; a beguilement; an allurement1. What do we get from all this? Simply that, based on the definitions, we can be allured by the deception of the system of power and energy as it lies in wait and is applied by us in this carnal world producing in our psyches the cunning and scheming and the craftiness that is its outward showing. What then can we name these demons, these underlings of their master the devil named fear? We can start with lust and greed and anger and their underlings of fornication and adultery and covetousness and stealing, and murder and hurt. And we must remember too that the Master told us that these are not just physical acts; lusting is as committing adultery in ones heart and anger can be equatable to killing and does He not tell us of giving for the sake of giving and not for its return. Hierarchies of demons and devils prevail when we live in a carnal state of mind and thankfully there are few who can be that low. All of this is further complicated by our nature and our nurture and whatever predispositions we may have coming into this world and here is the usefulness of the words of the Master and of Paul; Paul saying that “and be not conformed to this world: but be ye transformed” and Jesus telling us “The time is fulfilled, and the kingdom of God is at hand: repent ye, and believe the gospel” (Mark 1:15); both of these sayings tell us that we can change. What then can be the names of God and the powers of God? John tells us that “God is Light” (1 John 1:5) and says of Christ who is One with God that He “lighteth every man that cometh into the world” (John 1:9). He tells us elsewhere that “God is love; and he that dwelleth in love dwelleth in God, and God in him.” (1 John 4:16). Luke tells us of the Wisdom of God saying “Therefore also said the wisdom of God” (Luke 11:49); Paul tells us of the “manifold wisdom of God” (Ephesians 3:10), and we should remember the words of Solomon who, speaking as Wisdom herself, says “The LORD possessed me in the beginning of his way, before his works of old. I was set up from everlasting, from the beginning, or ever the earth was. When there were no depths, I was brought forth; when there were no fountains abounding with water. Before the mountains were settled, before the hills was I brought forth” (Proverbs 8:22-25). So we have here three names of God in Love, Wisdom and Light and we have three names of the Devil in Anger, Lust and Greed and no, this is not idolatry. So what is it that we see here? First that the superstitions and the legends and the myths about Satan and demons are not specifically supported by the scriptures; we see names and titles bandied about but nowhere do we get to see what it is that is being named. The very nature of the definitions that we have presented show us that there is little or no real understanding and that the acceptance of the perspective of the churches theology and doctrine must be on faith alone. Here then we should consider…..faith in what? Secondly, we, as the church and its adherents have given a personality to these forces and powers calling them Satan and his angels. In addition some give Satan as this personality rule over the Earth making this his dominion while others in the church say that this is no longer so because through His resurrection, Christ overcame the power of Satan. Is this much different that our ancestors giving names to the powers of God and calling them gods and giving them personalities to match the power that the possess. Now we are not saying here that there are no supernatural powers for indeed there are but these are Powers that are of God which we should clearly see in the quote from Paul above and which we repeat: “For by him were all things created, that are in heaven, and that are in earth, visible and invisible, whether they be thrones, or dominions, or principalities, or powers: all things were created by him, and for him: And he is before all things, and by him all things consist“. Is there really anything unclear here? This daily blog also has a Quote of the Day which may not be in any way related to the essay. Many of these will be from the Bible and some just prayers or meditations that may have an influence on you and are in line with the subject matter of this blog. As the quote will change daily and will not store with the post, it is repeated in this section with the book reference and comment. Wherefore take unto you the whole armour of God, that ye may be able to withstand in the evil day, and having done all, to stand. Stand therefore, having your loins girt about with truth, and having on the breastplate of righteousness; And your feet shod with the preparation of the gospel of peace; Above all, taking the shield of faith, wherewith ye shall be able to quench all the fiery darts of the wicked. And take the helmet of salvation, and the sword of the Spirit, which is the word of God (Ephesians 6:13-17). This Quote of the Day is the second part of the saying we started yesterday by Paul and this also was the daily quote over 100 posts ago. Regardless of what we believe; in the personality of Satan or in the carnal effect of the lower forces, this saying contains what we need to be able to stand against it; Truth, Righteousness, Peace, Faith and knowledge of our True Spirit self. Looks much like the same list of virtue that can make us accounted worthy.